I am on a panel with Kin Lane this week @APIStrat conference, discussing (looking at the panel members, it will be more like debating) about the “Politics of APIs” and the enterprise/ top industries adoption in general. Unfortunately, it is the last session on the last day of the conference, and I know the mad rush to the exit starts around that time. But we would love to see you stay and listen to the fireworks. I am interested to hear from you on specific topic(s) that you would like to see discussed on that panel. If you are attending the conference, let us catch-up. When I wrote part one of this post, it set off a heated controversy. A lot of healthy debate, some agreeing and some opposing me. But, as I reflect on the whole episode, some of them seem to have missed a major point I was making. If you read my article in full, you will know that I made one speculation and stated a few obvious facts. 1.I speculated about the question, “Are Public APIs going away?”, which as the title itself suggests, is a question, not an affirmative statement, and I asked it while citing some examples, and suggesting things might change along the way. Did Germany Cheat in World Cup 2014? This blog originally appeared on BigML blog site. Now that I got your attention about Germany’s unfair advantage in the World Cup, I want to talk about how they used analytics to their advantage to win the World Cup—in a legal way. I know the first thing that comes to everyone’s mind talking about unfair advantage is either performance-enhancing drugs (baseball & cycling) or SpyCam (football, NFL kind). Being a Patriots fan, it hurts to even write about SpyCam, but there are ways a similar edge can be gained without recording the opposing coaches’ signals or play calling. It looks like Germany did a similar thing, legally, and had a virtual 12th man on the field all the time. For those who don’t follow football (the soccer kind) closely, it is played with 11 players on the field. So much has been spoken about Big Data, Analytics and Machine Learning from the technology standpoint. 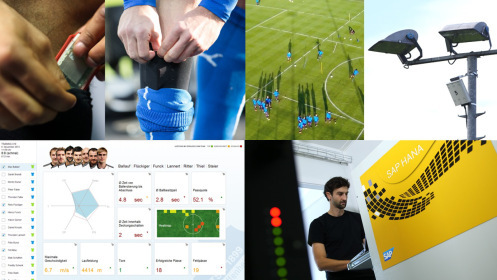 But the World Cup provided us all with an outstanding use case on the application of those technologies. Read more of this blog.